Upon doing some grocery shopping at the local organic store, New Earth, I stopped at the beer and wine section. I wasn’t going to buy anything, I swear I was just looking, when Robyn, the store’s expert beer buyer came over to me and we started chatting. She told me about this new beer the store just got in and how I had to try it. 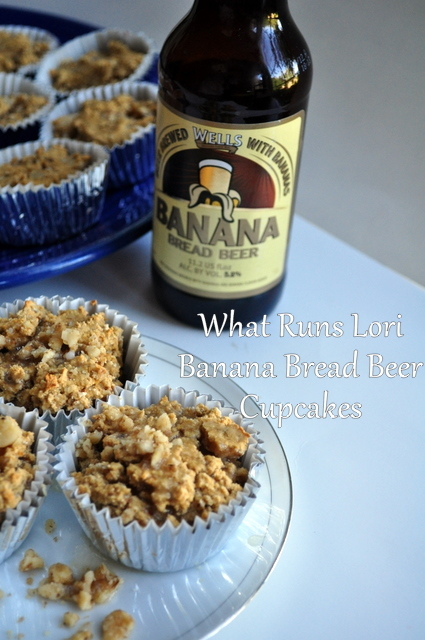 A little skeptical, I decided to find out what a Banana Bread Beer would taste like. Turns out, words just cannot express how incredible these cupcakes actually are. But words can express how tasty this beer is. 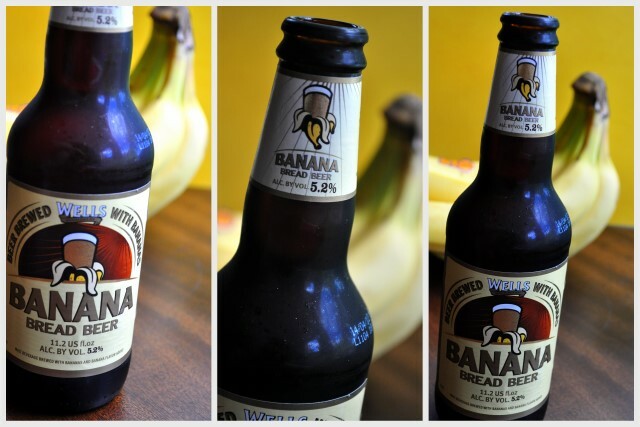 Well’s Banana Bread Beer is a light wheat beer with hints of fresh banana, with a delightful aftertaste of banana bread! So, so, so good. With a slightly expensive price tag of $8.99 for a 4-pack, this beer is worth every penny. Not too sweet like some flavored beers, and with just the right amount of bitterness. It’s even great tasting in cupcake form. After one two of the beers, I knew I had to turn this into some sort of baked good. 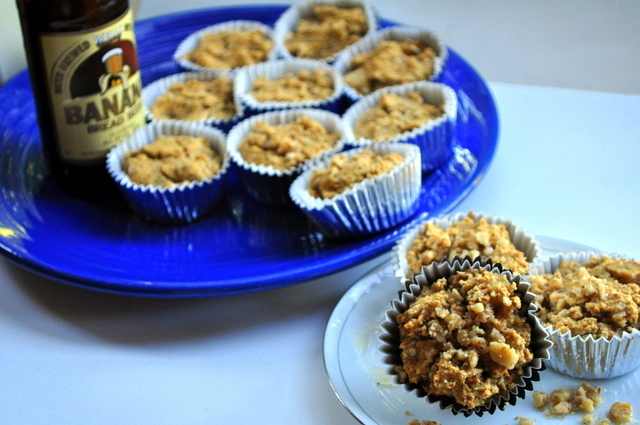 And since I’m on a full-blown cupcake/muffin-making binge, these cupcakes had to be beer-altered. These cupcakes are made with gluten free flours, are vegan, rich and moist, light and fluffy, and low in sugar- all sans the alcohol. You could leave out the beer but then you’d leave out half the fun. makes 15 highly addictive cupcakes. Preheat the oven to 350 degrees. Line a 12-count cupcake tin with 12 cupcake liners, plus 2-3 more in an additional tin. In a large bowl, whisk together flours, NuNaturals Baking Blend, baking soda, and salt. 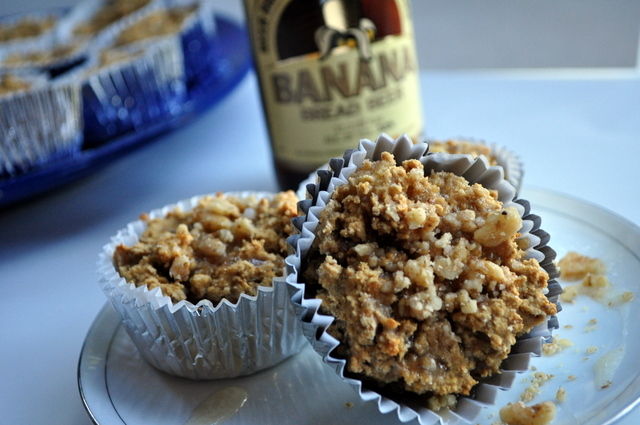 In a separate bowl, whisk together beer, almond milk, coconut oil, vinegar, vanilla, and walnut pieces. Add the banana to the beer and almond milk liquids, mashing it slightly with a fork. Pour the wet mixture into the dry mixture and whisk until just combined. The batter may be slightly dry due to the coconut flour. If this is the case, add a few tablespoons of almond milk more, one tablespoon at a time. Fill the cupcake liners about two-thirds full with batter. Bake for 18-20 minutes, or until a toothpick inserted in the center of the cupcake comes out clean with a few crumbs clinging to it. While the cupcakes are baking, make your glaze. Whisk all ingredients together in a bowl. Let sit in a cool place for 20 minutes for the coconut oil to somewhat solidify. 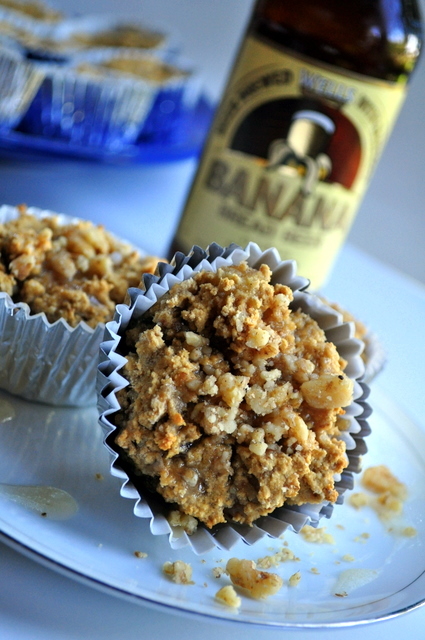 Pour onto freshly baked Banana Bread Beer Cupcakes. 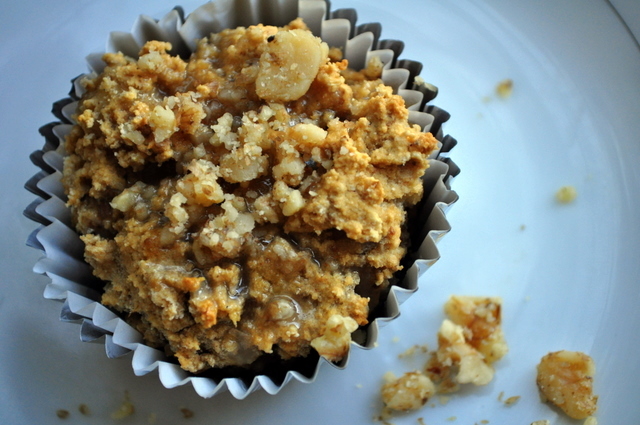 Top with a few walnut pieces and enjoy! 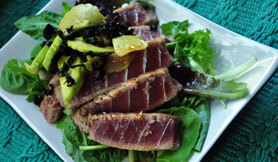 Don’t worry all you Paleoites out there, a Paleo version is on it’s way! You be the judge. 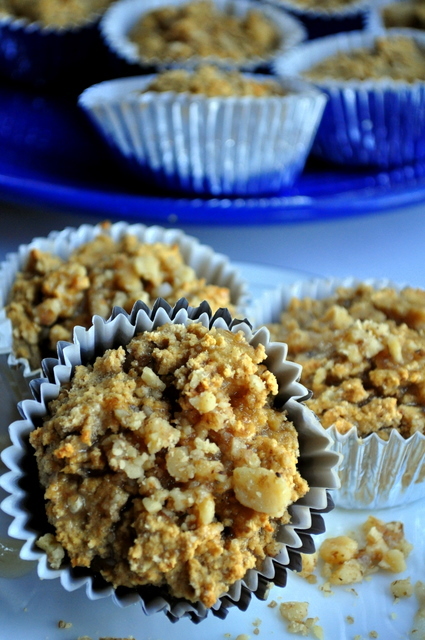 Make these little gems of culinary crafting cupcakes and tell me what you think! I found them totally delightful and definitely beer infused. But to each their own, what crazy items do you like in your cupcakes? What’s the best beer you’ve ever tasted? Now that is a strange beer! But I bet I’d love it. I KNOW I’d love those muffins. Yum! those look awesome! I like pumpkin beer..i think its so yummy! my husband hates it haha but he doesnt know what hes missin! You should. I know you girls could make some killer beer breads or cupcakes. And there are some pretty tasty gluten free beers out there now. E-mail me- I want to ask some paleo questions! 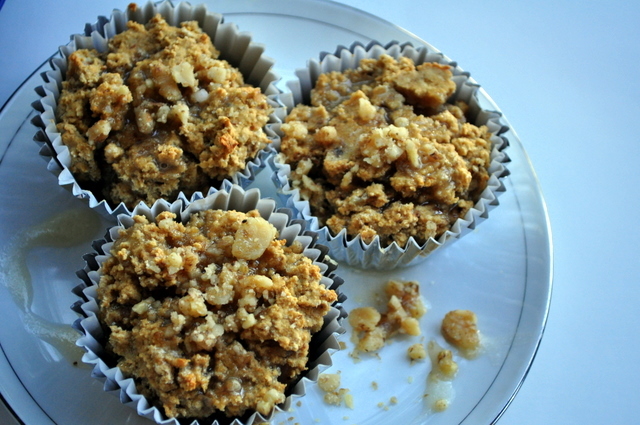 I think ginger and carrots sounds wonderful as add-ons to cupcakes or muffins! Why not?! Yeah, beer does contain gluten but they have some pretty great gluten free beers now… if you’re drinking alcohol. And I LOOOOVE your trainer shirt! Next post: Love Mugs. And CrossFit.